John is ready to teach 3-finger (Scruggs) style banjo to students of all ages! He has been playing bluegrass banjo for decades. His professional playing in this area began in 1968; notable collaborators are legendary fiddler, Alison Krauss and high profile bands including: Hickory Hill Boys, Generic Bluegrass (which became High Cross Road), Heartland Band and Silver Creek (which became Silver Rail). 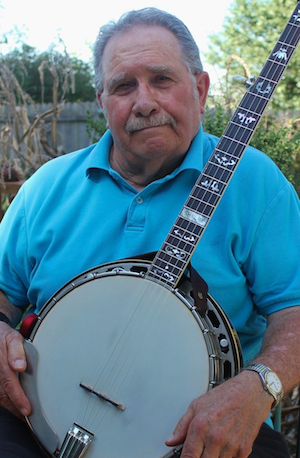 John taught banjo for many years at C.V. Lloyde and Rosewood, both formerly of Champaign. Born and raised near DeLand, IL, John’s background is in Agriculture and he holds a BS degree from Illinois Wesleyan in Business Administration. He farmed the family farm near DeLand and retired with 20 years of service from the Department of Crop Sciences at the University of Illinois. John also plays guitar.